Metal Dead is an old school, comedy/horror point and click adventure game packed with everyone's favorite undead creatures, zombies! This twisted tale centers on two metal-heads in the midst of a zombie invasion. After crashing their car in front of a medical research facility, they become trapped and are forced to use their wits to puzzle their way to freedom. Along the way, they must deal with a cast of characters who range from mildly deranged to completely insane. Features include: - Over 40 interactive rooms - 17 unique, quirky characters - 13 Achievements - Built-in hint system - Fully orchestrated midi soundtrack - Extensive novel-length script packed with comedy goodness Nominated by Adventure Gamers for "Best Writing - Comedy" and "Best Independent Adventure Game" for 2011! 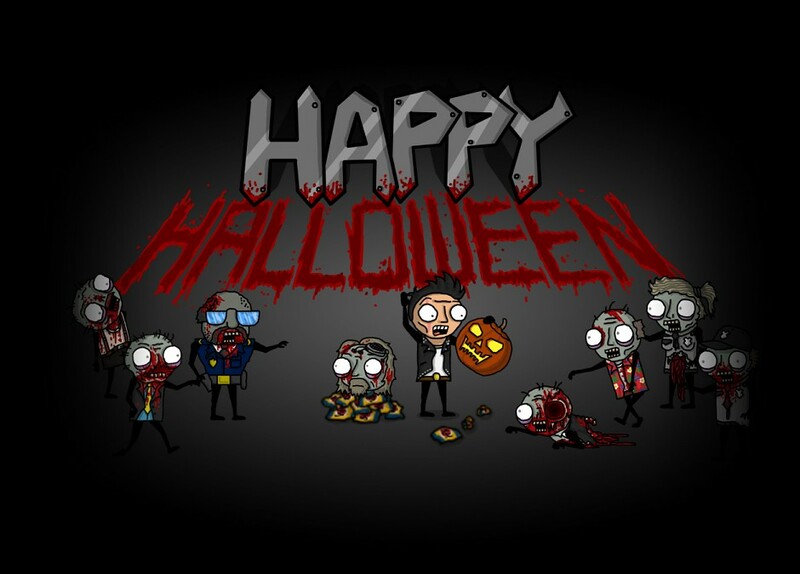 In celebration of Halloween, the price of Metal Dead has been slashed, chainsawed, decapitated, and hacked down by 80%! We've also included a 15-page PDF detailing the development, release, and reception of Metal Dead. Metal Dead is now in v1.12, there isn't a bug in sight! While we haven't officially announced a sequel, or released any preview material yet, we can assure you we're deep in development on a follow-up to Metal Dead. Ronnie and Malcolm will return for an all-new adventure in the near future. "Metal Dead is, you see, the closest we've come to the brilliance of Maniac Mansion since, well Maniac Mansion. It's the Shaun of the Dead of adventure gaming." Walk Thru Walls Studios was recently invited to an interview with Marty Mulrooney of AMO. Demo for Metal Dead now available, along with a review roundup! 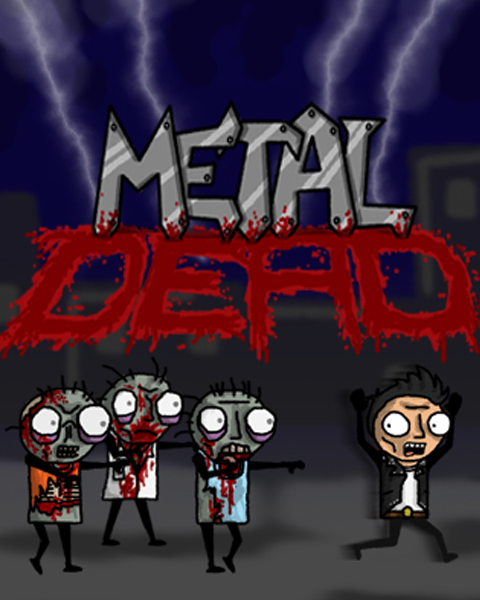 Metal Dead released on Desura! A heavy metal influenced, apocalyptic point'n'click adventure games packed with everyone's favorite undead creatures, zombies! Metal Dead is a character driven story. Let's take a look at the ones we'll be spending the most time with! What a great game! I'm doing a LP on Gameanyone.com and having so much fun playing and recording. Awesome job man! We sat and watched every minute of it. Thanks so much! Will the new version 1.12 also be available via desura autoupdate? Also will the first Metal Dead Game be on Steam when the second one will be greenlight? Until the 3rd of August! Awesome game. Thank you guys for making this great adventure. Point&click is not dead ! And I'm fine with undead point&click ;). Very good game I liked to play it.